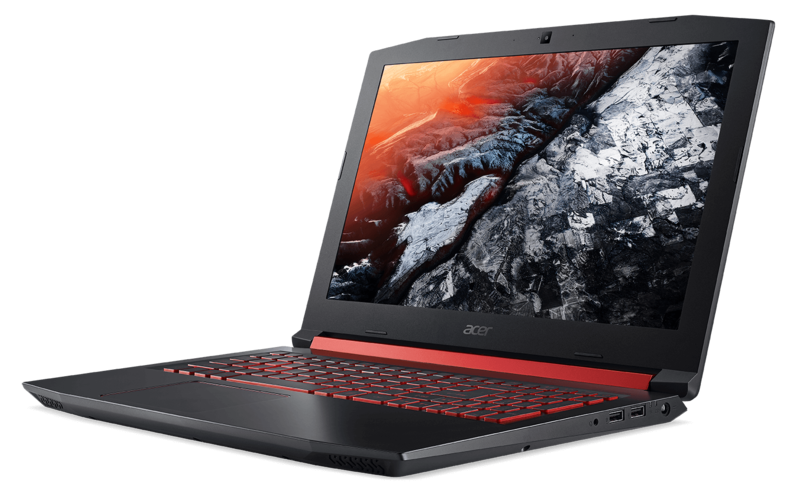 Acer, one of the world’s leading gaming PC makers, has launched yet another powerful gaming laptop known as Nitro 5 in India. On the design front, this laptop has a matte black chassis with a hairline finish and its smooth and sleek red hinge runs along the back of the notebook and above the bold air grill vent. The keyboard features red backlighting, and the WASD keys and touchpad are also outlined in red to raise the gaming excitement and ease of use. On the hardware front, this laptop sports a 15.6-inch FHD (1920 x 1080) IPS display. The Nitro 5 incorporates Dolby Audio Premium and Acer TrueHarmony technology for providing sound depth, wider bass, surround sound and crystal clear clarity for an immersive experiences for gaming or watching movies. This device is powered by 7th Intel Core i7 or i5 processor and NVIDIA GeForce GTX 1050/1050Ti graphics card with 4GB DDR5 RAM along with fast SSD and 16GB RAM. The selected device models come equipped with fast 128GB SSD paired with 1TB HDD for storage. It has a Gigabit Ethernet port for delivering fast and reliable wired connections, while the 802.11ac 2×2 MIMO wireless technology provides blazing-fast wireless connectivity. It comes with various ports such as USB 3.1 Type-C (Gen 1) port, USB 3.0 port with power-off charging, two USB 2.0 ports, and an HDMI 2.0 port1, which can support up to 90 Hz refresh rates. For uninterrupted gaming experience, it is equipped with dual fans and Acer Coolboost technology, which cools the CPU and GPU by more than 11% as claimed by the company and also allows users to manually control the cooling process when heavy use requires an added boost. Starting from Rs.75,990, this laptop will be available at Flipkart and Acer Stores.